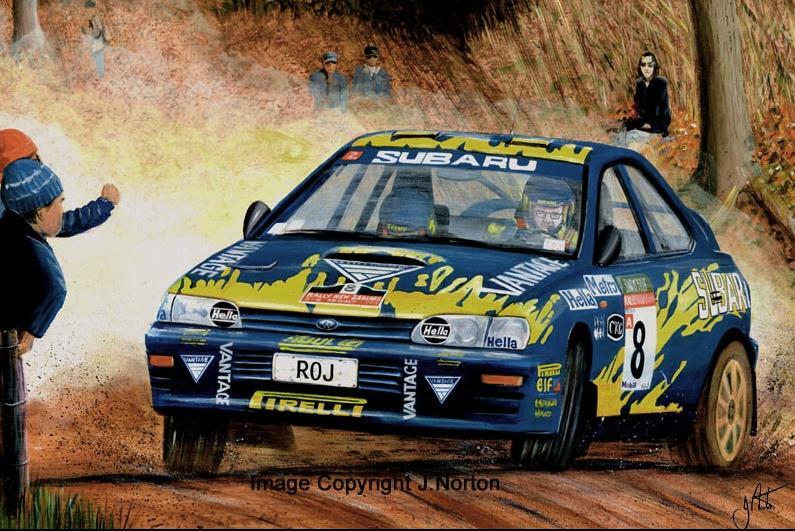 Colin McRae on the 1998 Network Q RAC Rally in the Subaru. 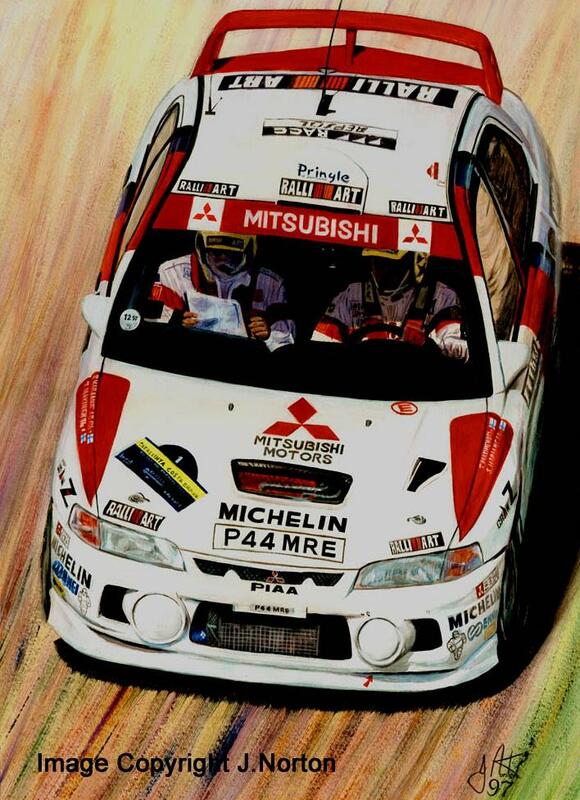 Tommi Makinen on his way to winning the 1997 Catalunya Rally and the World Championship. 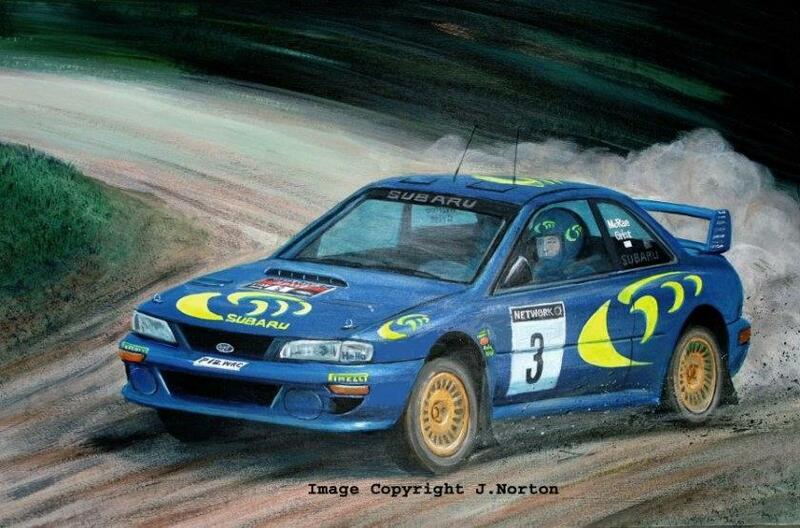 Colin McRae and Nicky Grist fly high on the way to victory in the 1999 Potuguese Rally. 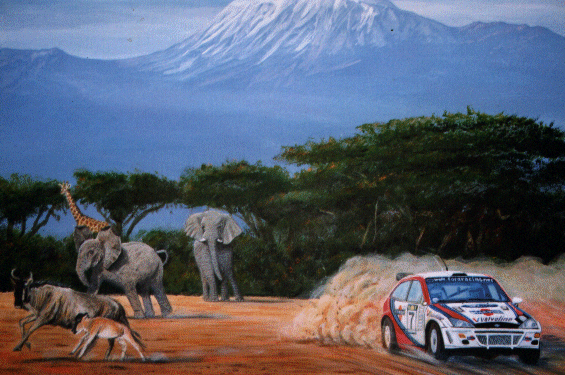 Colin McRae disturbs the locals on the 1999 Safari. 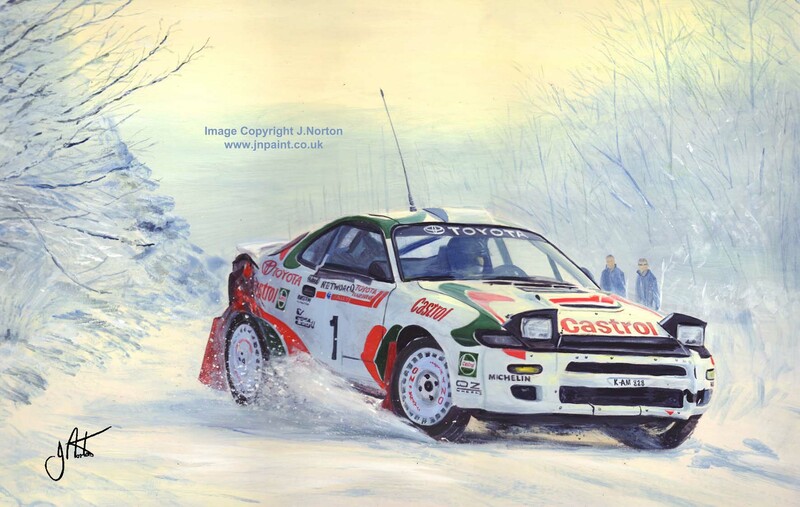 This painting was sold before I acquired prinitng facilites.